Are you researching an expat health insurance for Russia? It is important to inform yourself on the local healthcare system first. 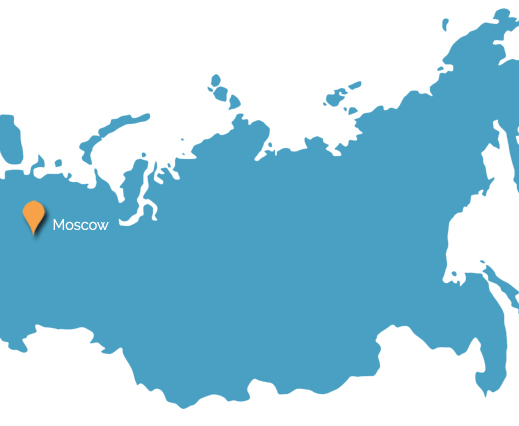 Whether you are moving to Russia or you are already living there as an expat, read our guide to the Russian healthcare system, your different options of medical insurance for Russia and an overview of the average cost of local healthcare. With the dissolution of the Soviet Union in 1991, the health of the Russian population greatly declined (the levels of tuberculosis, cancer, and heart disease are among the highest in industrialised countries). The government has therefore undertaken a succession of reforms since the mid-1990’s and the health statistics have been improving. The most important reform was the introduction of a national healthcare system, made compulsory in 1996. It offers healthcare to Russian citizens, as well permanent and temporary residents. This system covers: primary care, preventative care, emergencies (except for specialised emergencies such as air ambulance), and specialised care in all public medical establishments. However, some services are not offered, such as dental, prosthetics, rehabilitation and convalescence, as well as prescribed medicines. In order for these to be covered you would need to sign up to a private health insurance. In Russia, there are no private surgeries and all practitioners see their patients in either a clinic or a hospital. The administration of the health services is divided into different levels: federal, regional, and municipal. 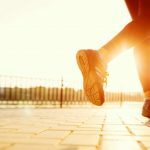 Health posts: run at a municipal level, they offer out-patient treatment: routine check-ups, vaccinations, and the treatment of non-serious accidents. Health centres: with teams of nurses, gynaecologists, paediatricians, and mid-wives; these establishments are usually specialised in maternity and also basic routine surgery. They are also usually run by the local municipality. Urban polyclinics: these are regional establishments, offering a wide-range of services: screening, treatment of chronic conditions, follow-up care. Depending on their size they may even have on-site specialists (cardiologists, oncologists, obstetricians etc). Specialised medical hospitals: usually found in large cities, these establishments offer all medical services and are open 24 hours a day. Federal hospitals represent 4% of the number of beds available within the public sector. The Russian healthcare system has seen some difficulties, in particular linked to a lack of funds. Today, healthcare in Russia remains below the standard of other industrialised countries: there is a lack of medical equipment, differing standards of care depending on the medical establishment, shortfalls in primary care etc. The well-reputed hospitals in Moscow or Saint Petersburg do not offer all services (e.g. contagious illness and maternity complications are not treated). In the public sector, English speaking doctors are few and far between. In order to see an English speak doctor it is advisable to seek treatment at a private clinic, however fees in the private sector can be high. For these reasons, expatriates are advised to have a medical insurance in order to enable them to be treated in private facilities abroad. An international health insurance for Russia is often a better option for expats than a local health plan. It allows you to be treated in the hospital and with the doctor of your choice, not only in Russia but also abroad. If you prefer to be treated in your home country or in another country, within your zone of cover, your medical costs will be reimbursed by your insurance company (within the limits of your policy). Moreover, if you leave Russia and move elsewhere your international insurance may be able to follow you. It is always important that your medical insurance complies with local legislation. If you are a permanent or a temporary resident in Russia, an international insurance will not replace your obligation to subscribe to the local system. The international cover will act in addition to the State provided cover. Expat Assure helps you decide the most appropriate expat health insurance for Russia depending on your situation and needs. Don’t hesitate to contact us for your personalised health insurance comparison. If you would like wider financial protection in the event of stopping work due to an accident or disabling illness, Expat Assure can also advise you on expat life insurance for Russia and income protection. To find out more, please, read our page on income protection and life insurance for expatriates. The cost of a consultation with a GP or a specialist is generally around £86 ($108). In the international private clinics this fee may increase to around £122 ($154). The cost of a consultation with a dentist is around £58 ($73). A crown can cost anything between £287 and £1,006 ($362 – $1,270). In regards to an overnight stay in a private hospital, charges are usually around £431 ($545) for an individual private room. What is the cost of private health insurance in Russia? Such as with any type of health insurance, the price of a medical insurance for expats in Russia varies greatly depending on the personal situation, the age, the medical history of each individual as well as other parameters. If you would like to have an idea of the cost of private health insurance for Russia, we can prepare for you a personalised comparison of different international health insurance plans. Contact us today for your free health insurance comparison. Be sure to have your immunisation schedule up-to-date (diphtheria/tetanus/polio). However it is also recommended to be vaccinated for hepatitis A and B, typhoid, Japanese encephalitis, tick-borne encephalitis, and rabies by the NHS Fit-for-Travel website. Be aware, counterfeit medication is a big problem in much of Russia. According to the Franco-Russian Chamber of Commerce and Industry, over 70% of medicines sold in Russia today are either counterfeit or of low quality.